My first view of this magnificent twelfth century monument was quite by accident. 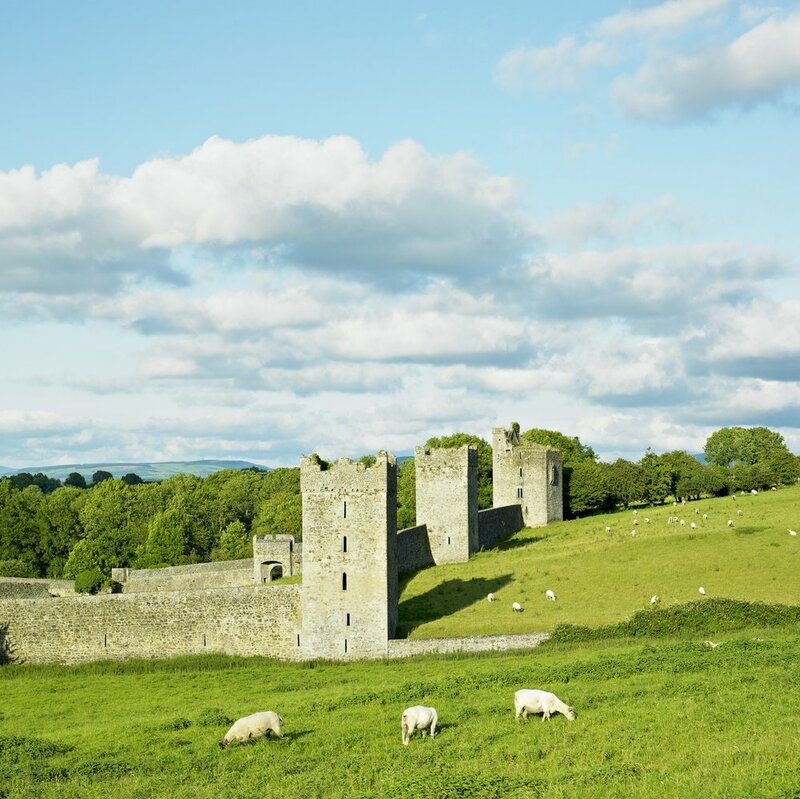 Having just explored the ancient city of Kilkenny, my husband and I came across what appeared to be a massively long castle wall on a quiet stretch of road fifteen kilometers south of the city. We stopped and investigated, wondering why such an impressive, well-preserved ruin wasn’t mentioned in our guidebook. On three gorgeous acres along the King’s River, the priory appears more like a fortress than a place of worship; in fact, locals used to call it “Seven Castles”, so named for the seven tower houses built into the curtain wall. Not much is recorded about the site except that it was founded in 1193, played a part in Ireland’s very first stake burning of an accused heretic, was itself burned to the ground by Edward Bruce, brother of Scotland’s famed Robert the Bruce (the man who succeeded Braveheart’s William Wallace in the cause for Scottish independence), and in 1539 was closed by King Henry VIII with the dissolution of all Irish monasteries. But for all its past turmoil, there’s a gentleness about the area… Maybe it’s in the sight of grazing sheep scattered among crumbling walls, the fact that there are no tour guides, no lines, no gift shop—or that it’s just so blissfully still. Visitors explore at their leisure, perhaps using the footbridge to cross the river that leads to a nineteenth century mill, or to simply sit and imagine what life was like in the middle ages, a time when monasteries were often the battlegrounds of chieftains and kings. Other area must-sees: Jerpoint Abbey near Thomastown, Nickolas Mosse pottery studio in Bennettsbridge, and St. Canice's Cathedral in Kilkenny. ← Glendalough- "Valley of Two Lakes"